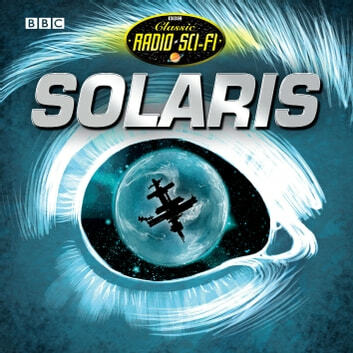 When psychologist Kris Kelvin arrives at the scientific research station hovering high above the surface of Solaris, he finds the place deserted except for two scientists, who have been driven mad by some unknown horror. The researchers had been trying to investigate the ocean planet, and probe the secrets of its alien lifeforms. But their clumsy, aggressive approach has provoked a terrifying response from the ocean, which is now confronting them with their most painful repressed thoughts and memories in human form. Kris is faced with the manifestation of his long-dead wife, Rheya, and his guilt over her suicide, but whatever is tormenting the other scientists appears to be much worse... Solaris was first published in 1961 and is a classic of modern science fiction, twice adapted for film - by Tarkovsky in 1972 and Steven Soderbergh in 2002. Stanislaw Lem’s original novel combines a gripping sci-fi ghost story with a powerful debate about guilt and the human condition. The play has an exciting soundtrack by composer Alice Trueman.